A French physicist namely “Breguet” was famous for his effort in the initial days of telegraphy. He suggested the utilization of reduced part of conductors to guard telegraph stations against the hits of lighting with liquefying, the slighter wires would guard equipment along with wiring in the building. In the year 1864, lighting installations and telegraph cables can be protected by employing a variety of foil fusible essentials and wires. Finally, Thomas Alva Edison has patented a fuse as an element of his electric distribution system in the year 1890. 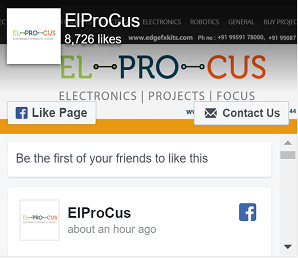 This article discusses what is a fuse, types of fuses and its applications in various fields. 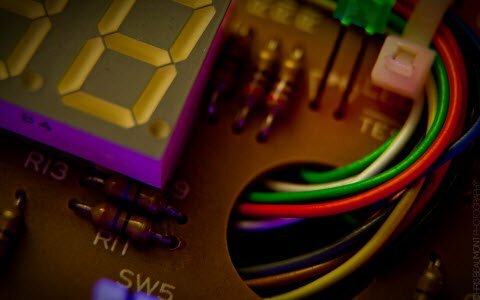 In the field of electronics or electrical, a fuse is an essential device used in various electrical circuits which gives the protection from the overcurrent. It comprises a strip or a metal wire that dissolves when the heavy flow of current supplies through it. 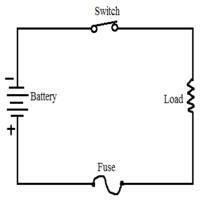 Once this device has functioned in an open circuit, it ought to rewire or changed based on the type of fuse. 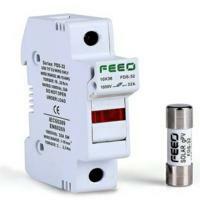 A fuse is an automatic disconnection of supply which is frequently shortened to ADS. The alternative of the fuse is a stabilizer or circuit breaker, but they have many different characteristics. 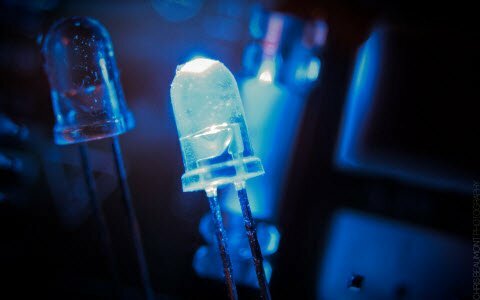 Why do we require Fuse? These are used to prevent the home appliances from the high current or overload damage. If we use a fuse in the homes, the electrical faults cannot happen in the wiring and it doesn’t damage the appliance s from the fire of wire burning. When the fuse gets break or damage, then an abrupt sparkle happens which may direct to damage your home appliances. That is the reason we require different types of fuses to guard our home-appliances against damage. The working principle of the fuse is “heating consequence of the current”. It is fabricated with a lean strip or thread of metallic wire. 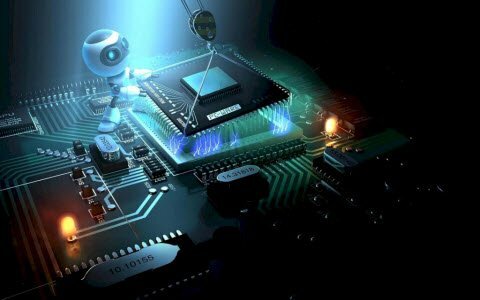 The connection of the Fuse in an electrical circuit is always in series. When the too much current is produced due to the heavy flow of current in the electrical circuit, the fuse gets soften and it opens the circuit. The extreme flow of current may direct to the collapse of the wire and prevents the supply. The fuse can be changed by the new fuse with an appropriate rating. It can be designed with the elements like Cu (copper), Zn (zinc), Al (aluminum) and Ag (silver). They also perform like a circuit breaker for breaking the circuit while the abrupt fault happens in the circuit. This works like a safety measure or protector for humans from risks. Like this, the fuse works. The selection of a fuse can be done by calculating the fuse rating by using the above formula. Write down the voltage (volts) and power (watts) of the appliance. After the result, use the maximum fuse rating. For instance, if the calculated fuse rating is the maximum fuse rating. For example, if the calculated fuse rating is 7.689 amps, you can use an 8 amp fuse. The fuses are classified into several types based on the application namely AC type fuse and DC type fuse. Again these fuses are classified into several types. The following diagram illustrates the electrical fuse types chart based on the AC fuse and DC fuse. 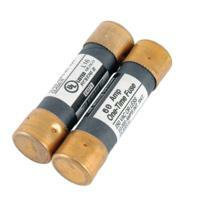 DC fuses are available superior in size, and DC supply has a stable value over 0 volts. So it is tough to remove and deactivate the circuit. 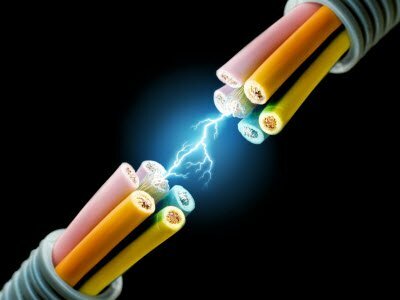 There will be a chance of generation of an electric Arc between dissolved wires. To conquer this, electrodes located at better distances. For this reason, the size of DC fuse gets amplified. The AC fuse is slighter in size and oscillated 50 to 60 times in each and every sec from least to highest. As a result, there is no scope for Arc generation between the dissolved wires. For this reason, they can be crammed in small size. 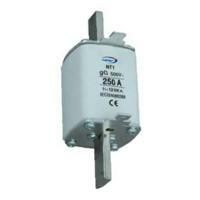 Further, AC fuses are classified into two parts namely HV fuses and LV fuses. Here LV& HV indicates the low voltage and high voltage. The low voltage fuses are divided into five types such as rewirable, cartridge, drop out, striker and switch fuses. Rewirable fuses are LV fuses, which are almost used in small applications like wiring in the house, small-scale industries, and other tiny current applications. These types of fuses include two essential parts such as a fuse base, which has two terminals like in and out. In general, this element is fabricated with Porcelain. Another part of this fuse is a fuse carrier, which grips the fuse element. This element is fabricated with aluminum, tinned copper and lead. The main advantage of a fuse carrier is, we can simply plug and remove from the base of the fuse without the risk of shock. As the fuse is damaged due to heavy current, then we can simply eliminate the Fuse Carrier as well as put back the fuse wire. The cartridge type of fuses has entirely closed containers and the metal contact as well. The applications of this fuse mainly include low voltage (LV), high voltage (HV), and small fuses. Again, these types of fuses are classified into two types, they are D-type and Link-type fuses. This type of fuse is composed with the cartridge, base of the fuse, adapter ring, and cap. The base of the fuse includes a fuse cap, which is packed with the fuse ingredient by cartridge using an adapter ring. It is composed of the cartridge, fuse base, cap & adapter ring. The fuse base has the fuse cap, which is fitted with the fuse element with a cartridge through the adapter ring. The connection of the circuit is finished when the tilt of the cartridge builds contact through the conductor. The link type fuse is also known as high rupturing capacity (HRC) or BS type fuse. In this sort of fuse, the current flow with fuse element is specified under standard condition. In this BS type fuse, the flow of current by fuse element is given under normal condition. The arc which is generated by the fuse blown is controlled is fabricated with porcelain, ceramic, and silver. The container of the fuse element is packed with silica sand. 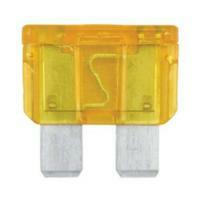 This type of fuse is again categorized into two parts includes a blade type and bolted type. The knife type fuse or plug-in type of fuses is designed with plastic. This type of fuse can be simply changeable in the electric circuit exclusive of any load. In bolted type fuse, plates of this fuse are conducting are set to the base of the fuse. The striker type of fuse is employed for tripping and closing the electrical circuit. These fuses are having plenty of force as well as displacement. Basically, the switch type fuse is enclosed with a metal switch and also a fuse. These fuses are mainly used in low and intermediate voltage levels. Generally, HV fuses are used to protect the transformers like instrument transformers, small power transformer and also used in power systems. These fuses are normally charged for voltages over 1500V to 138000V. The fuse part in HV fuses are fabricated with either copper, silver or in some cases Tin is used, in order to offer consistent and steady performance. These fuses are classified into three types which include the following. The fuse component of the HRC is cut in the helix form which evades the effect of corona at the upper voltages. 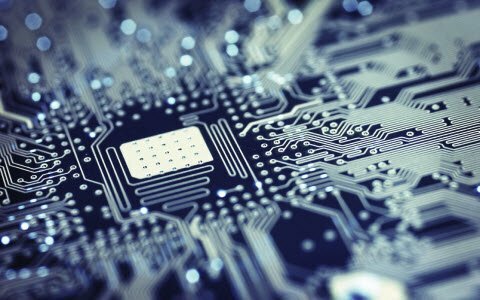 It includes two fused elements namely low resistance and high resistance, and that are located parallel by each other. The low-resistance wires take the usual current which is blown-out as well as decreases the short-circuit current throughout the fault state. This type of fuse is packed with carbon tetrachloride also preserved at both the tops of the caps. Once the error occurs when the flowing current surpasses away from the allowable limit, and the element of the fuse is blown-out. 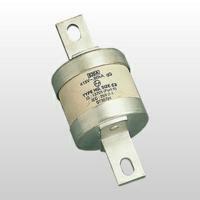 The fluid of the fuse performs as an arc extinguishing standard for the HRC fuse types. 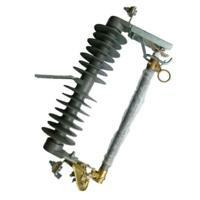 They may be used to protect the transformer as well as the support protection to the breaker circuit. 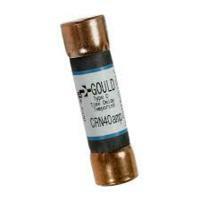 These types of fuses are extensively used to protect the feeders as well as transformer due to they’re low-priced. 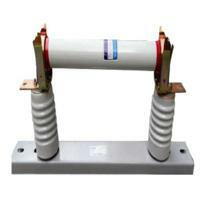 It is designed for 11kV; also their cracking capability is up to 250 MVA. This type of fuse includes an unfilled open finished cylinder designed with synthetic resin-bonded paper. The elements of the fuse are positioned in the cylinder, and the tubes tops are linked to appropriate equipment at every finish. The arc generating is blown off in the inside covering of the cylinder, and the gases thus shaped destroys the arc. The different types of fuses and their uses have discussed are essential components in all the electrical circuits. Some of the main applications of fuses in Electrical and Electronics field include the following. From the above information, finally, we can conclude that fuse and their types explained. The main function of the fuse is to protect the electrical circuits from the overflow of current. In a real-time situation, the flow of current during the wires may not be consistent all the times. In that situations, the device may get damage from overheat. While the equipment has highly developed with the handling of a circuit breaker, these types of fuses are still employed in various places like fundamental electrical components. Here is a question for you, what are the uses of a fuse? thanks sir for this post.